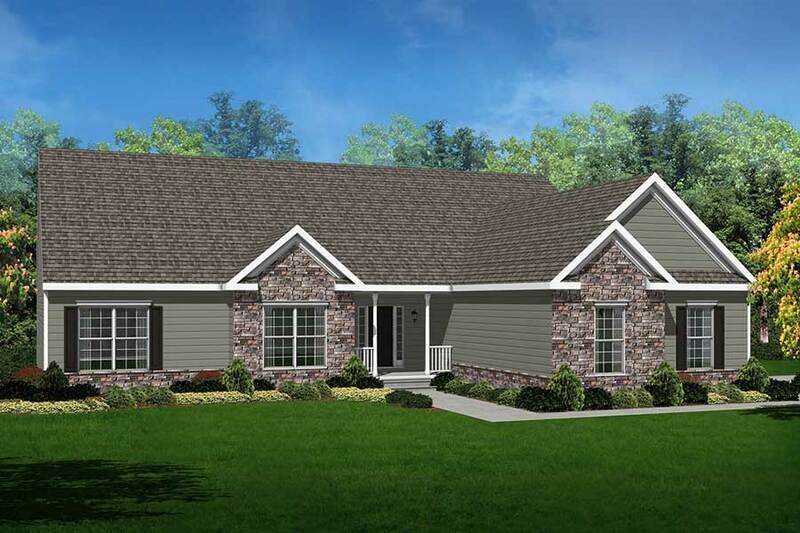 The Waynesboro is a widespread 3 bedroom 2.5 bath home which offers main level living in an upbeat modern design. If you enjoy entertaining, the large kitchen and breakfast area join the family room in creating an open floor plan design. The Kitchen provides a large breakfast island, generous cabinet space, & 2 walk-in pantries. The master bedroom features dual walk in closets and a luxury bath with double vanity, soaking tub, and separate shower. Bedrooms 2 and 3 are separated by a "Jack & Jill" style full bath. A generous laundry room / mudroom can also be found on the main level. Basement finishing options include a recreation room, full bath, game room, media room, & 4th bedroom.